Are you exploring the complicated world of child custody? The process is difficult at first. This quick guide will provide an overview of the most common child custody designations, a good starting point for initial research. Physical custody is very straightforward – it decides who the child lives with and can regulate the extent of physical interaction such as taking the child to school or going on family vacations. A parent can still have partial physical custody even if the child does not live in that household full-time. Some parents enter the divorce process a little confused about the legal custody side. Legal custody involves more than just legal decisions. The parent(s) with legal custody will retain the right to make decisions regarding important matters like education, medical care, and personal development. This can extend to church attendance, enrollment in therapy, participation in sports, discipline, etc. Physical and legal custody are awarded on a joint (shared) or sole (individual) basis depending on the circumstances. Sometimes courts will apply sole physical custody to just one parent while extending legal custody rights to both parents, allowing a parent to exercise some control over the lives of their children even if they do not live in that parent’s household. Joint custody allows children to spend time with both parents, and sole custody is held by just one parent. Very few courts will award sole custody without very good reason – usually, this is done only when one parent is chronically unable or unfit to provide a home to the child or to make important lifestyle decision. Both physical and legal custody can be awarded to just one parent, or may be shared by both parents. 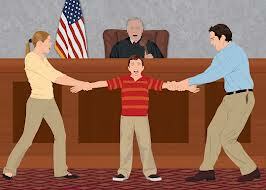 Sometimes courts will grant sole physical custody while still allowing for joint legal custody. Your options may be very flexible depending on the needs of the children. Parenting plans are important to modern custody cases. Many courts are reluctant to separate children from their parents, and expect both parents to participate in the upbringing and support to the greatest extent possible. A parenting plan blurs the lines between the custodial roles of parents. For example, a parent with otherwise no physical custody might be allowed to enjoy certain holidays when conditions of the parenting agreement are met, or you could specify that a parent without legal custody may still manage the child’s college fund if he or she is a primary contributor, etc. Parenting agreements are very flexible when both parents work together, but a court-ordered agreement might not be so adaptable. We always suggest seeking legal help with child custody by consulting an attorney with extensive family law experience. Parental contracts – whether court ordered or negotiated by the parents – are enforceable by law and tough to revise without what the court would consider a good reason. Consulting with an experienced family law attorney is the first step, the best way to obtain clear and realistic expectations. There are endless ways to approach the custody situation, so many potential arrangements that no single guide would be able to cover them all. Spend some time exploring your options and drafting backup plans; never stop searching for the ideal solution. You may be surprised at the inspiration you can uncover through smart and extensive research. Can You Be Too Careful Raising Your Infant Child? Child Custody: Is It Time to Hire a Private Eye?